Eyewear provides the perfect location for Electronic Wearable Devices since it is located close to one’s key senses; sight, hearing, smell and taste. PogoTec™, Inc. (http://www.PogoTec.com) unveiled its proprietary Pogo-Track™ today. Pogo-Track™ is a standardized track that allows electronic wearable devices (EWDs) to be easily and conveniently attached to prescription and non-prescription eyewear while preserving design integrity and fashion style. Examples of EWDs that can be easily attached to eyewear include a: UV meter, alertness monitor, pedometer, GPS, wearable camera, IR sensor, air quality sensor, radiation detector, audio device, heads up display and hearing aid just to mention a few. The standardized Pogo-Track™ can be designed to match or blend with the color of the eyeglass frame or utilized as an accent color. Pogo-Track™ does not add to the thickness or weight of the eyewear. The proprietary track appears as a design element incorporated into both eyewear temples and is virtually imperceptible to the wearer. This allows eyewear with Pogo-Tracks™ to be sold as an attractive option for all consumers, regardless of their intent to attach EWDs. The electronic wearable device (EWD) industry is forecast to grow from today’s ~$8.0 Billion to ~$75.0 Billion in less than 10 years. In terms of units, the EWD industry is forecast to grow from today’s ~80 Million units shipped globally to over ~500 Million units by 2021. Within the eyewear industry there are ~300 Million pairs of new eyewear sold each year globally and there are presently ~ 2 Billion eyeglass wearers in the world today. Dr. Ron Blum, Founder and President of PogoTec™ stated, "Eyewear provides the perfect location for EWDs since it is located close to one’s key senses; sight, hearing, smell and taste. In addition, eyewear is conveniently located for monitoring one’s mood, alertness, movement, location, health and the safety of the immediate environment. 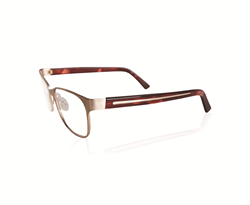 By applying EWDs to eyewear everyone wins; the consumer, the eyewear industry and the EWD industry”. In addition to Pogo-Track, PogoTec™ has also invented, developed and plans to commercialize in 2017 Pogo-Power™ (a proprietary mobile wireless power system for EWDs) and Pogo-Cam™ (the world’s smallest look and shoot camera attachable and detachable to / from eyewear). PogoTec™ has been very diligent in protecting its intellectual property. To date PogoTec™ has filed over 100 provisional patent applications covering its product offerings that will be combined into numerous comprehensive patent applications. Dr. Richard Clompus, VP of communication at PogoTec™ stated, “Pogo-Track™ has been designed with one standardized track for all eyewear. By having one standardized track it is believed that EWD companies will find it easy to develop devices to attach to eyewear, while also significantly increasing the value of eyewear for the consumer”. Dr. Clompus further stated, “Eyewear represents an untapped 2 Billion unit market for EWD companies and we believe EWDs can be a catalyst of new growth for the Optical Industry”. PogoTec™ is presently licensing eyewear companies with Pogo-Track™. The company anticipates launching its product offerings in 2017 with multiple well known eyewear companies and brands. Presently, PogoTec™ has lined up a variety of eyewear companies in support of having its product offerings available (within the first year of launch) in the following channels across the US and in some cases around the world: eye care professional offices, high end department stores, certain sporting goods stores and the mass market. PogoTec™, Inc is a privately owned company incorporated in Delaware. Its core initiative is to enable electronic wearable devices with a special focus on eyewear. PogoTec’s™ product offerings consist of, Pogo-Track™ a proprietary attachment means for attaching electronic wearable devices to eyewear while maintaining the fashion look of eyewear, Pogo-Cam™ the world’s smallest look and shoot camera attachable to eyewear, and Pogo-Power™ a unique wireless power transfer system for powering / charging electronic wearable devices of all types. PogoTec’s™ management team and Board of Directors have extensive experience in creating and commercializing innovation. PogoTec™ has been extremely diligent in protecting its intellectual property and has numerous patent applications filed. For more information about PogoTec™, please visit the http://www.PogoTec.com website.